Every good thing comes to an end. And so it was for the ‘inaugural Savai’i Game Fishing Tournament’ which was officially closed at Va-i-Moana Seaside Lodge on Friday. A candle-lit dinner on the beachfront was a perfect setting for the tournament’s closing ceremony. Proceedings started by the President of the S.S.T.A, Tupa’i Saleimoa Va’ai, and a short prayer by a representative of the Va-i-Moana Seaside Lodge. Alfred Schwalger, a representative of S.I.G.F.A was appreciative and thankful for a well-organised tournament. Ten vessels took part. 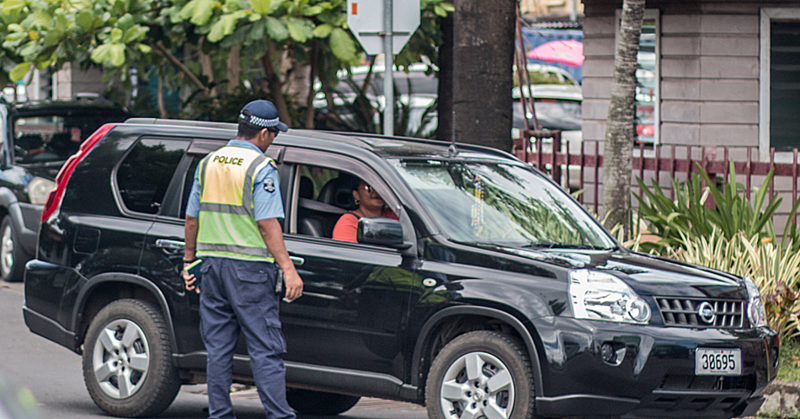 They are Taumafai, King Fisher II, Free Spirit, Lady Saele, Pure Indulgence, Razze, Seemu, Aolele, Fish Pirates, Yellow-Fin II, a Nimo (Faga), Minion (Asau) and All Rounder (Aganoa). 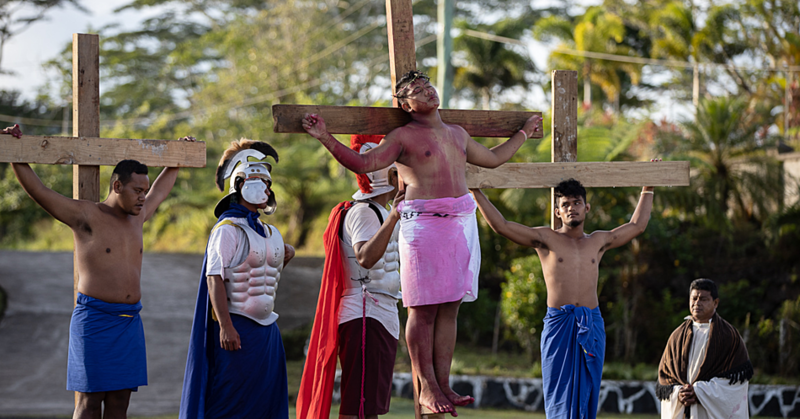 The tournament was organised by the Savai’i Samoa Tourism Association (S.S.T.A) and Savai’i Game Fishing Association partnering with Samoa International Game Fishing Association (S.I.G.F.A.). 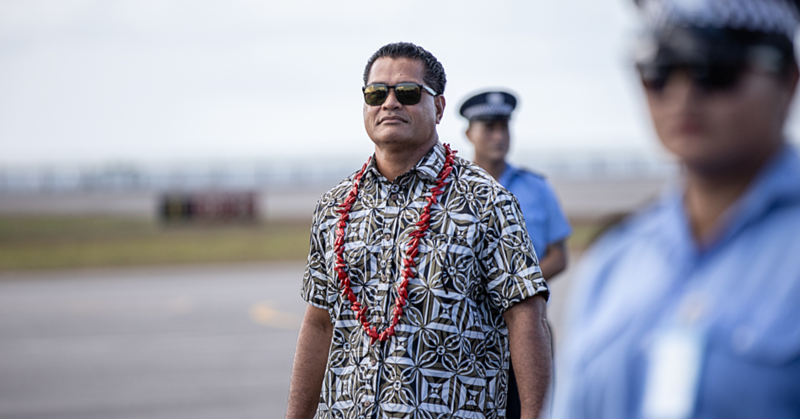 President of the Savai’i Fishing Association said it would not have been possible without the support of S.S.T.A, S.I.G.F.A, Tupua Wetzell family as well as S.P.S Bio-security an overseas company working on a cocoa project in Savai’i with willingness to contribute to the development of Savai’i this event. • First place Marlin weighed 166.2kg won by Darren Moore from Team Yellow Fin. • First place Yellow Fin weighed 67.4kg won by Manū Meredith from Trophy for Sale – Fish Pirates. • First place Sail Fish weighed 41kg won by Darren Moore from Team Yellow Fin. • First place Masimasi weighed 16kg won by Aolele Team Lober. 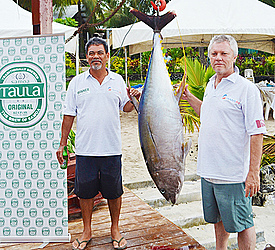 • First place Wahoo won by Muliaga Paul Cafarrelli from NIMO Team Ku Ku a Gimo. • Main prizes were presented by Paul Bradbury of the SPS Bio-security overseas based company. • First place overall Trophy plus $3,000 prize money and a box of Taula & Vailima, was presented to Team Yellow Fin, received by Roy Lee. • Second place overall Trophy plus $2,000 prize money and a box of Taula & Vailima was presented to Aolele – Team Lober, received by Junior Lober. • Third place overall Trophy plus $1,000 prize money and a box of Taula & Vailima was presented to Trophy For Sale – Fish Pirates, received by Manu Meredith & Puao Francis Hansell. After the prize giving and formalities ended, the fire dancing crew became the show of the night!